Naturalsillimaniterocks cut into the required shape and size are used mainly in glass industries.Sillimaniteis the best raw material for the manufacture of high alumina refractories or 55-60% alumina bricks. ...Sillimaniteis still used in refractory industry for some specialized alumina products. Sillimanite is an alumino-silicate mineral with the chemical formula Al2SiO5. Naturalsillimanite rocks cut into the required shape and size are used mainly in glass industries. Sillimanite is the best raw material for the manufacture of high alumina refractories or 55-60% alumina bricks. We have now introduced sillimanite powder in our stock. We are providing an excellent quality array of Sillimanite Sand to our prestigious clients at very affordable rates within committed period of time. 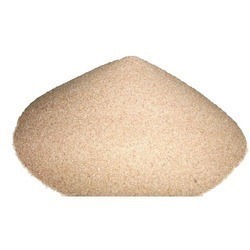 We are supplyig sillimanite sand for refractory, ceramics, foundry etc. 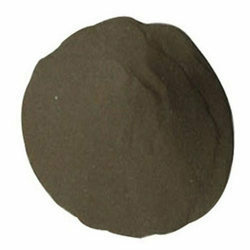 VVM Sillimanite is an outstanding product from our concern. Sillimanite is obtained from high temperature, aluminum-rich vicinity.